In stories from WONDER WOMAN #48-52, a mysterious illness that could affect all of Olympus strikes its first victim: baby Zeke! 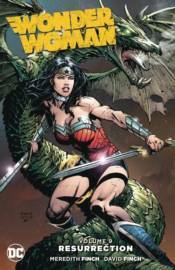 Can Wonder Woman find the cure and save the gods of Olympus? The answers will call into question everything Wonder Woman thought she knew about those she trusts the most.